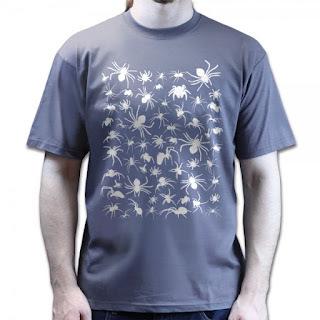 I titled this shirt "Bugs" while the shirt featured below is titled "Spiders". I'm unsure of which one is the more apt name. 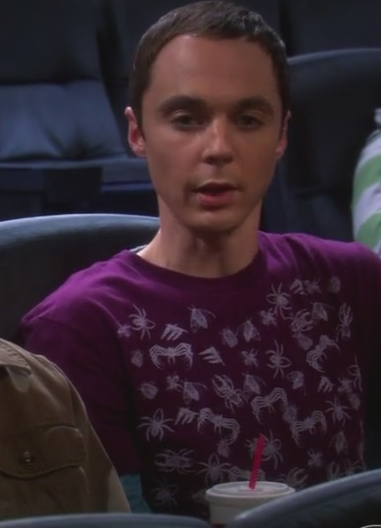 From the look of the shirt it seems to have a couple of non-spider looking creatures on it but, then again, I don't know a whole lot about spiders. Perhaps those non-spider looking ones actually are of the arachnid variety. I dunno. Whatever the case, there's two things crystal clear about the shirt being sold below: 1.) 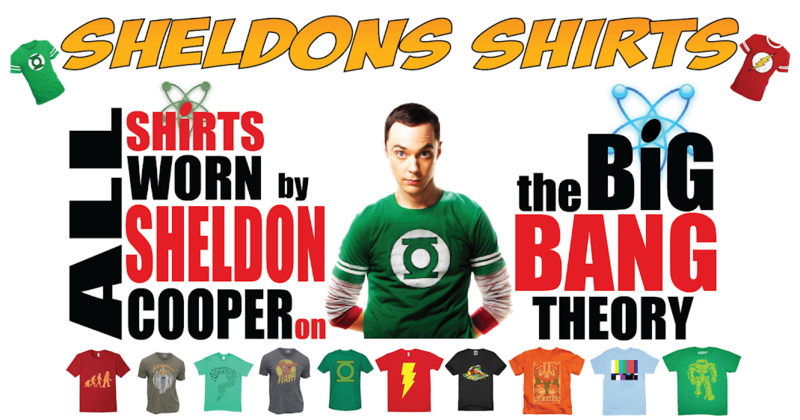 It's certainly not an exact replica of the shirt Sheldon wears on the show and 2.) The model posing with the shirt is obviously a vampire and shouldn't be trust. Keeping these points in mind, this is still as close a match I can find. So it'll have to do for now. S06 E06: "The Extract Obliteration"